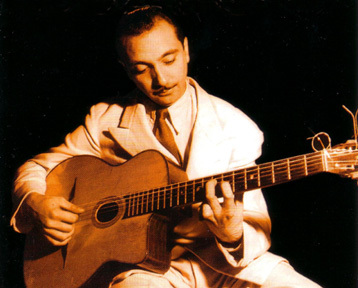 All About Jazz is celebrating Django Reinhardt's birthday today! The man who became the 1st European jazz giant was born Jean Baptiste Reinhardt on January 24 1910 in a Gypsy encampment at Liberchies Belgium. His father was a traveling entertainer so he lived with his mother and her tribe. His early childhood was spent in and around Liberchies. At age 8 he moved with his mother and her clan to France and settled in a camp outside the gates of old Paris... Read more.